Home » Natural Ingredients » What is Flaxseed? You may have heard of Flaxseed, but did you know it comes from the Flax plant? The plant has been around for years and has been used for food and medicine since its inception. 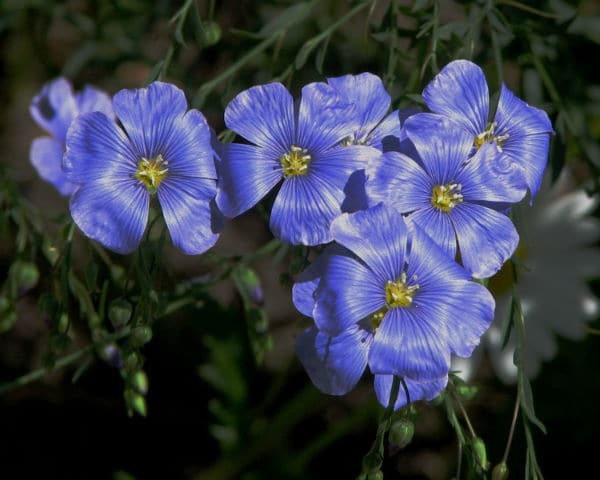 The Flax plant is can grow to be almost four feet tall, with slim stems, leaves, capsules, and pale blue flowers. The brownish-yellow seeds can be kept for a while, but when it’s ground into a powder, it’s best to consume it quickly or seal it in a container, as it can go rancid. 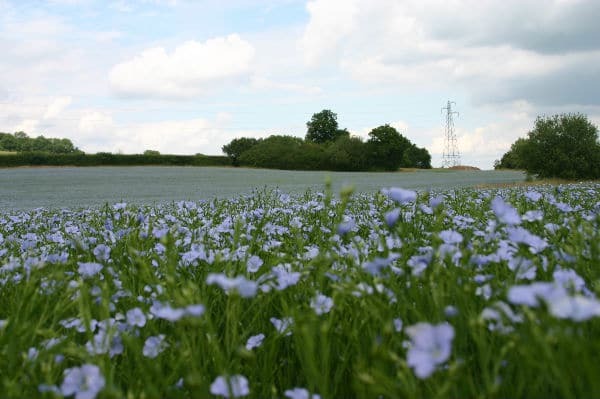 Flax plants grow to around four feet tall and have pale-blue flowers. Flaxseeds are found within the fruit of the plant and are around four-to-seven millimeters long. The Flaxseed plant is believed to have first sprouted in in what is the Republic of Georgia today, making it one of the oldest fiber crops in the world. People of Iraq, Switzerland, Germany, China, India, and Egypt claim to have used the plant for eating and homeopathic therapy for centuries. You can find it growing in cooler climates with fields, like the midwest United States but it’s usually imported from harvesters in Canada, China, and Russia. Flaxseed is great for people dealing with high cholesterol—that’s why people follow the Mediterranean diet eat Flaxseed. Studies in humans show that Flaxseed lowers LDL, or bad cholesterol, and triglycerides when added to a low-cholesterol diet. Additionally, Flax has been effective in soothing the effects of heart disease. Flaxseed is rich in omega-3 fatty acids and evidence from the University of Maryland shows that diets full of omega-3 fatty acids are less likely to suffer a heart attack. For women, Flaxseed is shown to help menopausal symptoms and even breast cancer. A study showed that 40 grams of Flaxseed worked just as well as hormone replacement therapy in menopausal women for menopausal symptoms such as hot flashes and vaginal dryness. As a deterrent to breast cancer, the lignans (a substance found in plants that mimics estrogen) found in flaxseed helped stymy the growth of breast cancer tumors. As for other cancers, Flaxseed has seen promising results in slowing colon and prostate cancers. Although Flaxseed is meant to help with many areas of healing, it is also beneficial to women who are looking to increase their breast size. Bust Bunny has your daily dose of Flaxseed inside each capsule, get yours today for 10% off using coupon code “flaxseed” or CLICK HERE to have it instantly applied. What are the Side Effects of Taking Flaxseed? Because Flaxseed has been around for so long and used in so many different cultures, it is definitely one of the safest herbs you can take. It’s tolerable to most body types, and usually doesn’t have side effects after taking it. The few people who do have a reaction to Flaxseed report symptoms in the stomach region, like diarrhea or constipation, because it is a source of fiber. However, that’s the case with just about any fiber source, so it’s nothing to worry about. We do encourage that if you take Flaxseed that you do so with plenty of water to allow it to flow through your body smoothly. Many health professionals recommend slowly increasing your dose of Flaxseed, due to the extra fiber your body will be receiving. It needs time to get used to it, so your intake should increase in increments of half a teaspoon every few days. As with any supplement, you should always consult your doctor before taking Flaxseed if you take any other medication or vitamin, just in case there’s a documented reaction. There are no known pills that have an interaction with the herb. Where Can You Find Flaxseed? You can also purchase ground Flaxseed powder, Flaxseed oil, Flaxseed capsules or liquid softgels from health food stores, vitamin and supplement shops, grocery stores, and online. How Does Flaxseed Make Breasts Bigger? Since Flaxseed has been around for so long, of course there are some benefits associated with it. Like, Dong Quai, the seeds contain a plant estrogen known as phytoestrogen, or “dietary estrogen”. This means it’s estrogen that’s not produced in the body, but you can still safely consume it with no problem. The similarities between estrogen and phytoestrogen mean you reap the same benefits, including increasing breast tissue growth. This is how you grow larger breasts! 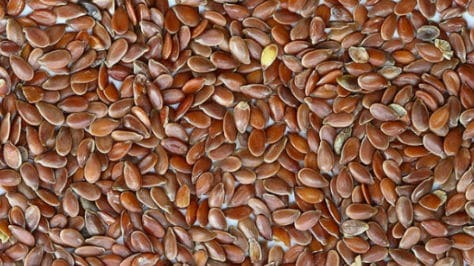 Flaxseed has also been the subject of several studies on breast cancer. Those studies have shown a correlation between taking the herb and decreased size of tumors. So it can be seen as an all around good supplement for breast health. Women of all cultures have taken Flaxseed for other womanly concerns, like reducing symptoms of premenstrual syndrome and menopause. That’s why we’ve added it to Bust Bunny Breast Enlargement pills, because it helps in breast enhancement and other areas too! With Flaxseed being an ingredient in Bust Bunny Breast Enlargement capsules, most women will see a noticeable change in their bust size. The herb is all natural, and is considered safe by the FDA (it is listed on their Generally Regarded as Safe list, or GRA). Flaxseed has been used to assist women for many years, and will aid in your breast growth journey. 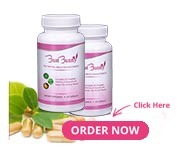 Start your journey with Bust Bunny today for 10% off your entire purchase using coupon code “flaxseed” or CLICK HERE to have it instantly applied.